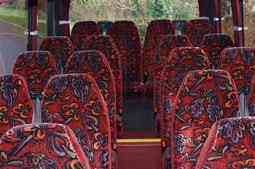 If you demand the best and are searching for luxury minibus hire in Newmarket, let us be of service. Whether you are organising the transportation needs of your party for a wedding, a day at the races or a shopping trip, one of our drivers will ensure you arrive punctually and in comfort. We’ve been in the business for some time and our success is down to our commitment to customer service. We know that finding reliable Newmarket minibus hire can be a challenge, so from the first moment we hear from you, our staff are ready to help with whatever queries or concerns you may have. When you choose to ride with our professional service, we can offer a number of immaculately cared for and maintained vehicles for your trip. You can provide us with the details of your group, along with your intended destination and reason for travel, then we can suggest what we think would be the ideal model from our fleet. However, our entire range is at your disposal and you can select the vehicle of your choice. Many have excellent onboard features like digital entertainment systems and cutting edge GPS navigation, allowing your driver to locate the best possible route for your journey. Booking one of our Volvos means you’ll be greeted by pleasantly comfortable seats with lots of elbow room, along with a generous amount of luggage storage – perfect for those occasions when everyone is dressed up and you don’t want to feel cramped. 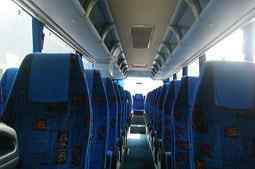 Alternatively, you could go for a roomy Ford Transit minibus, the right choice for big groups who are travelling with a lot of cases and bags. For a taste of the high life why not treat yourself and your party to a Mercedes 16 seater experience, a very popular choice. Regardless of which vehicle you choose, you can be confident that your minibus will be thoroughly clean and fresh when it arrives to pick you up. We carefully select every one of our drivers based on their previous experience in similar roles and dedication to the job. Each member of our minibus hire in Newmarket team will be polite, courteous and ready to assist you in any way they can. 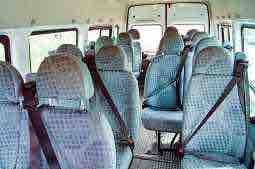 They will whisk you to your destination and return to collect you and your party, at a time chosen by yourself. Forget about route planning, parking and exhausting traffic jams, because we will manage every aspect of the journey. Just sit back, plan out your day with your fellow passengers and then relax into your cosy seat for a smooth ride. Both corporate clients and families will feel safe and confident in the abilities of their driver, we know you’ll be expecting the best and we plan to deliver it. Newmarket is a pretty market town situated in the county of Suffolk, it is surrounded by rolling green fields and lush countryside. The town is probably best known for its links to the world of horse racing and The Sport of Kings remains an extremely popular pastime. A great day out can be had by couples, families or larger groups of friends at the New Market Racecourse, a fun way to have a flutter and enjoy a glass of Pimms in the sunshine! For horse fans, there’s a chance to get up closer to these beautiful beasts at the National Stud, new foals are always popular with the children, and you’ll get a deeper insight into how the racing industry trains its future stars. The National Horse Racing Museum is also nearby, it’s packed with fantastic paintings, historical artefacts and fascinating exhibits, all coming together to reveal more about the English horseracing world. The cafe here is known for its delicious snacks, so be sure to drop in for refreshments after taking in the equine displays. To arrange a trip here, or to any one of Newmarket’s horseracing attractions, our Newmarket minibus hire is available to take you and your group in style. Based at the Bedford Lodge Hotel in Bury Road, Newmarket, The Spa is an indulgent retreat from the hectic pace of life outside. You can book for a hen night, a birthday or simply to spend quality time with the people you love. There are many excellent facilities, like the hydrotherapy pool, roof top hot tub and an ice fountain for braver visitors! To make a day of it, book a package deal and then arrange your transport to and from the Spa with us. Your driver will pick you up at a time that suits you, then get you all to The Spa in time for your first treatment. Once you’ve been thoroughly pampered, allow us to bring you home. For those times when only the best will do, our minibus hire in Newmarket is a reliable solution for attending sporting events, days out and special celebrations. Many of our valued customers, both corporate executives and families, have gone on to become regular clients. To discover more about why they prefer our Newmarket minibus hire to that of our competitors, please take a few moments to browse through their comments on our testimonials page. We look forward to serving you in the near future.